The candidates can fill the application form which will be released by the university in both online and offline mode from 31st January 2019. 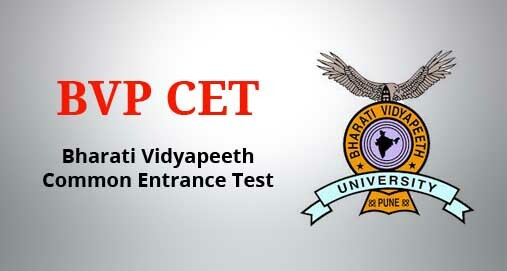 Website: The candidates who have not registered, should visit the website and go to New User Registration and register themselves from the official website of BVP CET 2019. Registration details: The candidate needs to fill details like Name, Gender, Valid email Id, and Mobile number and password. Profile: When candidates profile is created and saved, then they will not be able to use email ID to create another profile. Course name or email ID can’t be changed once a candidate leaves this section. Personal details: Aspirants have to fill their personal details such as name, address, Gender, date of birth, category etc. Qualification details: Aspirants have to enter qualification details such as passing/graduated year, marks obtained etc. Photo/Signature upload: Aspirants have to upload their recent colour photo and scanned image of signature which should be less than 50kb. Application Fee: The candidates will have to make the necessary payment of INR 1700 online. Mode: The mode of payment is through debit or credit card or net banking. Reference: Once the payment is done the candidate needs to keep a record of the transaction for future reference. The candidate needs to check once again whether the given details are correct or not. The Candidates need to collect the offline application form at designated centres or at the Admission Office, Bharati Vidyapeeth Deemed University, Pune. The Candidates are required to fill the BVP CET 2019 application form by providing all their personal and academic details in their own handwriting using blue/ black ink pen(capital letters only). The Examination centre must clearly mention in which city they wish to appear for the exam. The Candidates are required to affix their recent colour passport size photograph at the appropriate place in the application form. The photograph has to be attested by the Principal/ Head of the Institution where the candidate has studied or by a Gazetted officer. The Application fee made by the person through cash or demand draft of INR 1500 (for Engineering), drawn on any nationalized bank or Bharati Sahakari Bank Ltd. payable at Pune, in favour of Registrar, Bharati Vidyapeeth Deemed University, Pune. The application form fee is different for every course, candidates will have to check the official website before filling the application form. Note: The application sent by mail must be sent by registered post/speed post/courier. What are the documents required for the verification? Please read the brochure-verification of documents and also refer the items-6 of chapter-1 of brochure wherein under each eligibility the document to be produced by the candidate is detailed.